Calgary-based Cenovus Energy reported on Wednesday a $2.9- billion net loss from continuing operations in 2018, including $1.3 billion in the third quarter. “In the fourth quarter, in some of the most difficult macro-economic conditions we’ve ever faced and while voluntarily managing our oil sands production lower, we remained relatively cash-flow neutral and continued to deleverage our balance sheet. I believe we are well positioned to make material progress on our business plan and further deleverage in 2019,” said Alex Pourbaix, Cenovus president and chief executive officer, in a news release. 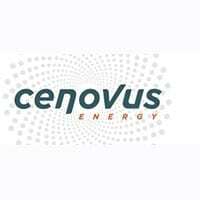 Cenovus said its upstream financial results were significantly impacted by widening light-heavy oil price differentials, which reached historical highs in the fourth quarter, as well as realized hedging losses of $1.6 billion largely in the first three quarters of the year. Its annual net loss from continuing operations last year included three large non-cash charges: an exploration expense in the Deep Basin segment, a significant provision for office space that exceeds the company’s long-term requirements and a loss on the sale of the Pipestone business, it added. “In 2018, Cenovus reduced total capital expenditures by 18 per cent compared with the previous year. Spending on continuing operations decreased largely as a result of the company’s success in further reducing its oil sands sustaining capital costs. 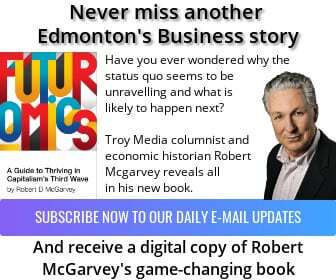 Cenovus remains focused on cost leadership and capital discipline and is targeting capital spending in 2019 of between $1.2 billion and $1.4 billion, the majority of which will go toward sustaining base oil sands production,” said the company. “In the fourth quarter of 2018, the average price differential between West Texas Intermediate (WTI) and Western Canadian Select (WCS) more than tripled, compared with the same period a year earlier, reaching a record of about US$52/bbl. For the full year, the WTI-WCS differential averaged US$26.31/bbl, compared with US$11.98/bbl in 2017. The wider average differential and higher condensate costs consistent with stronger WTI prices negatively impacted upstream operating margin.